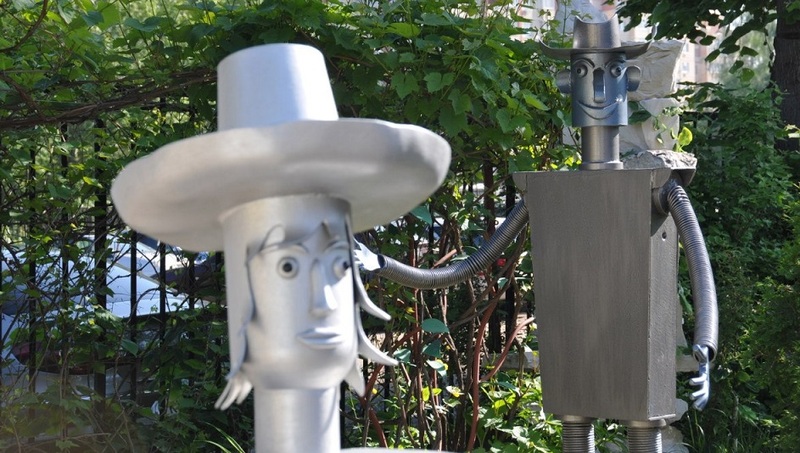 "Alexander Fateev, sculptor from Dolgoprudny"
In Dolgoprudny, a town in the northern part of the agglomeration of Moscow, Alexander Fateev has created an art environment amidst a lively urban area. Born probably in the late 1950's Alexander Fateev was trained as a cook, a profession he also practiced during his years in military service. 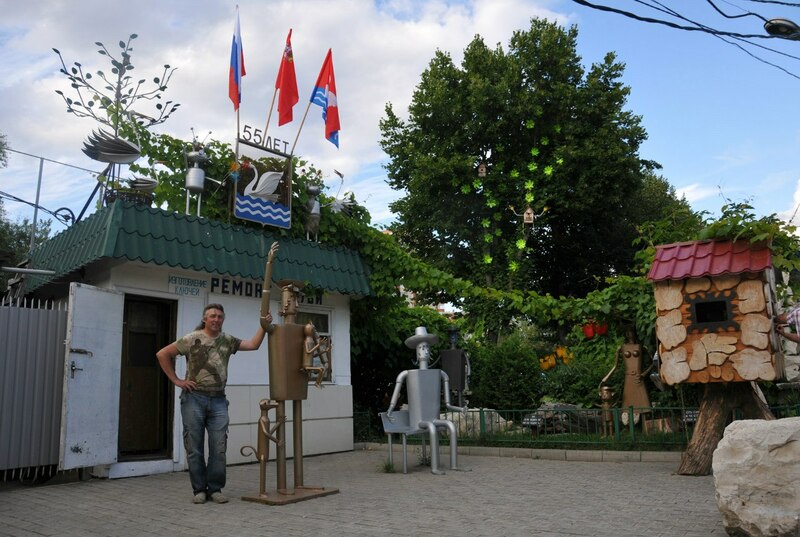 In 1981 he started a shoe repair shop in Dolgoprudny along the Ulitsa Sportivnaya. 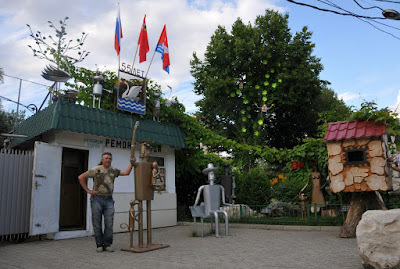 The workshop is located on a square surrounded by trees near the municipal theater (theater Gorod). In 2005 Fateev started a project to beautify the environment of the workshop. 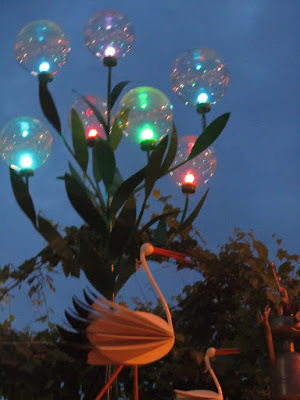 The beginning was that he cut colored plastic bottles into pieces which he added together into colorful flowers that were hung in the trees around the shop. Fateev also made colored translucent bulbs with lamps. Hung in the trees these creations produce an attractive illumination, which in wintertime -especially around Christmas- is an atmospheric attraction that receives a lot of interest of passersby. However, Fateev's art environment is characterized in particular by his sculptures made of metal. 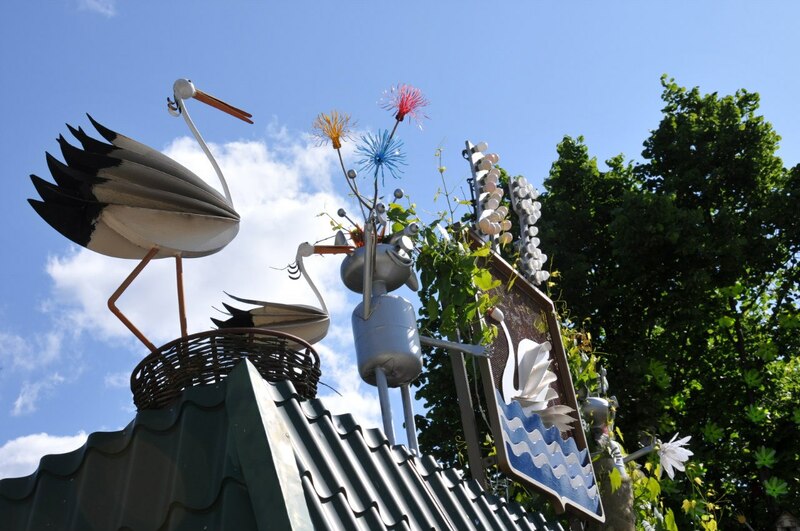 Using empty gas bottles and pieces of sheet metal, he has created a variety of characters that are set up around the shop or on its roof. One of his first creations in metal was a tough woodcutter and then he made a woman with a youngster, as in above picture. And there are wizards, aliens, fantasy and cartoon characters, a variety of animals such as the cat Masha and the dog Zuzha (well known toy and fairytale characters in Russia), but also a life-size crocodile in a small pond. Fateev also made a number of wooden structures, such as some unusual birdhouses hung in the trees. 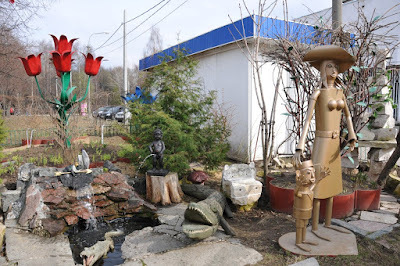 And located on the site around the shop, a small wooden building that mimics Baba Yaga's hut can be entered by young visitors. 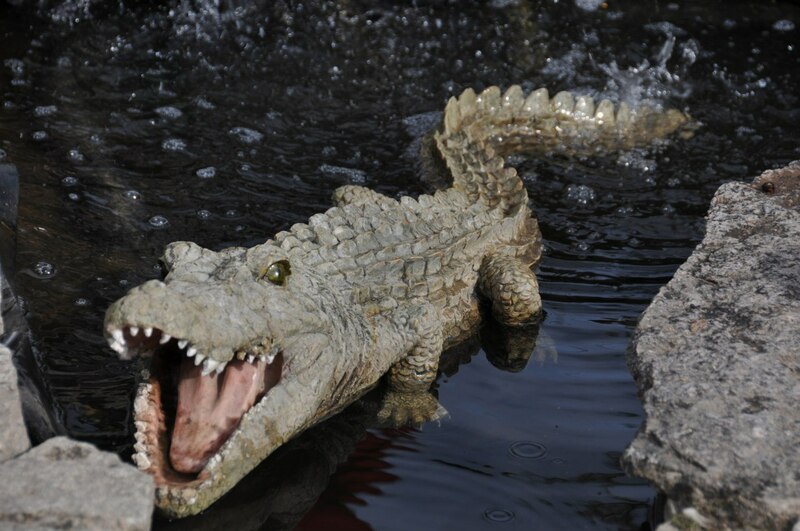 To counter vandalism, the sculptures on the site around the store are firmly anchored in the ground with a fastening of up to one and a half meters. But it has happened that someone damaged a metal stork on the roof and Fateev had to work on recovery for hours. In spite of such a happening, Fateev remains faithful to the goal he had in mind when he started his project, namely to contribute to embellishing the city. The local authorities appreciate his activity, as evidenced by a diploma that the city awarded to him in 2014. 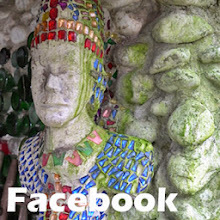 * Site on VK of the community "Alexander Fateev, sculptor from Dolgoprudny"